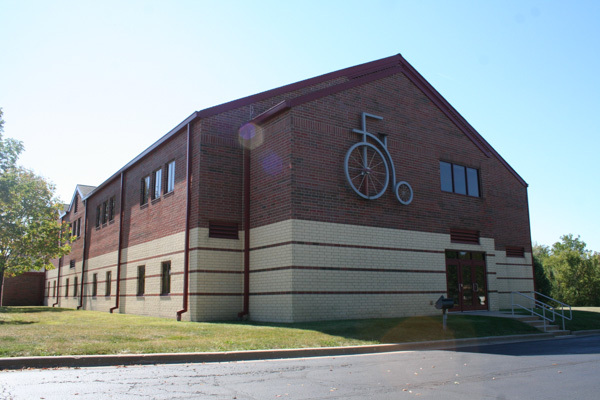 Peoria Heights – Melotte, Morse, Leonatti, Parker, LTD. 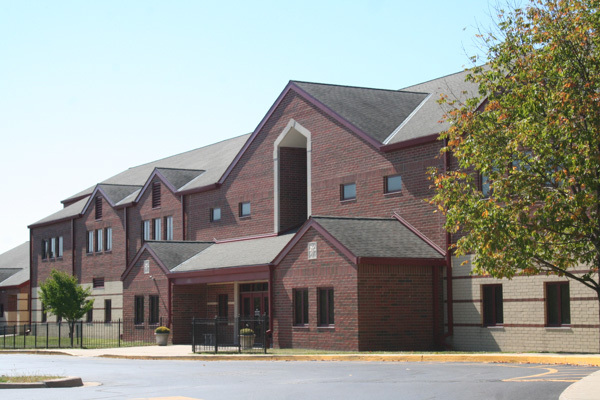 The new Peoria Heights K-8 school was the product of an extensive facilities evaluation by the PHCUSD board in attempting to address aging facilities. 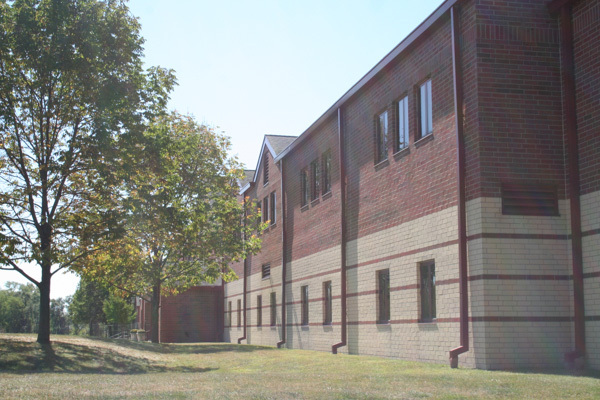 The two original elementary school buildings were hemmed in on constricted one-square-block urban sites, with no exterior physical education space nor parking or bus drop-off accommodations. 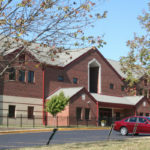 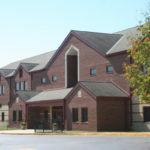 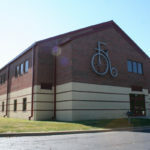 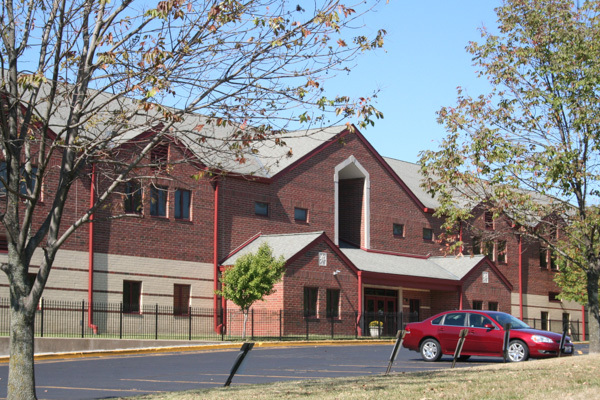 This new 98,000 square foot, two-story educational building was constructed on a 12-acre wooded site, owned by the district, adjacent to the high school. 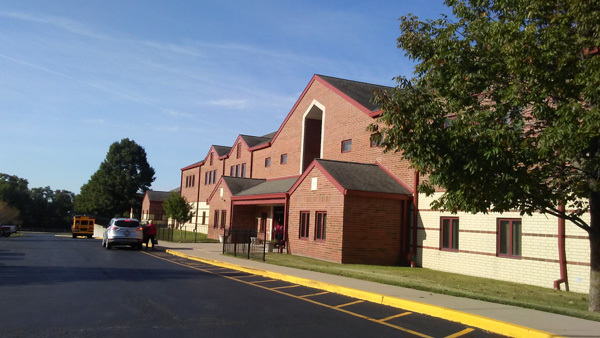 MMLP and associate firm, Fanning Howey, and District #325 together forged a grant application with the State of Illinois to provide funds, and jointly the architect and district led a successful bond referendum to create a decades-in-the-making community upgrade and single campus. 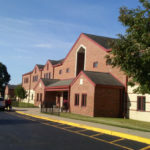 The new school has defined grade level separations and sized common facilities such as the Cafeteria, Media Center and Athletic gym organized for productive scheduling and highest and best use. 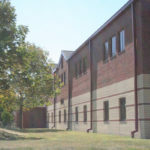 The handsome brick facades are contemporary and yet pay respect to the original turn-of-the-century historic buildings. 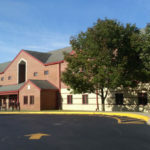 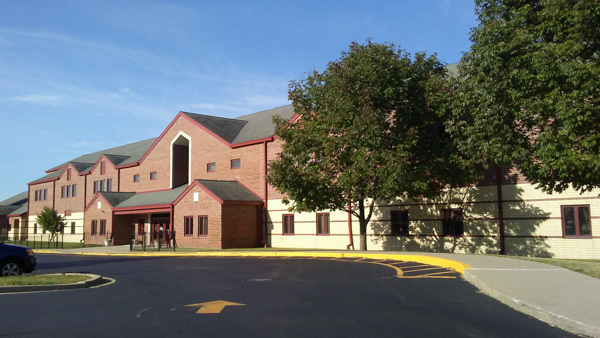 With the construction of the new school, an opportunity evolved to re-align the main campus entrance from busy Glen Avenue, and create new segregated bus and parent drives and parking areas, and distributing the vehicular traffic for the K-8 and High School – coordinating this work with the City of Peoria Heights and State of Illinois to add turn lanes and traffic signals on Glen Avenue to enhance safety and greatly streamline traffic flow.